This week's readings point us to a range of ways we can respond to the call of God in our lives. we also discover that he is sometimes willful and disobedient. We are all rather like this. our understanding of what that will might be is often slippery. and when I am hearing Stephen's voice! I am more than occasionally capable of deceiving myself. If nothing else when we are tempted to say "The Lord says to me...."
that we may not be quite as clear about this as we think we are. We should at least test this. now there is one thing only to do. the logical conclusion of our personal thought processes. At times we act as though that is all it is. is dependent on God and not on our efforts. the profound dynamic which undergirds the basis of our faith. to perfect his work in creation. need to learn this lesson. It is God's desire to bring the whole of creation together. In the example Paul gives he is referring to those "who are far off...and those who are near"
those who are inside the covenant (the Jews) and those wo are outside(the Gentiles). and broken down the dividing wall. who is already in place as the foundation and cornerstone. it is building on the firm foundation. through prayer, through worship through service and ministry. in so far as we are built on that sure foundation. for this heavy and taxing work. and they crash in all too readily. So he would take time to step aside and be quiet. and do not respect Jesus's own personal needs. We all know something of this. from trying day after day to capture this time. Jesus goes out into the garden of Gethsemane to pray. How easily we forget this! put our prayers to one side. And then we wonder why we get a bit lost. It is not only, I think, because we lack faith. It is because we lack discipline!! to continue to build on the foundation. But that is actually the only thing that will work. then you are heading off in the wrong diretion. and that we build on him. 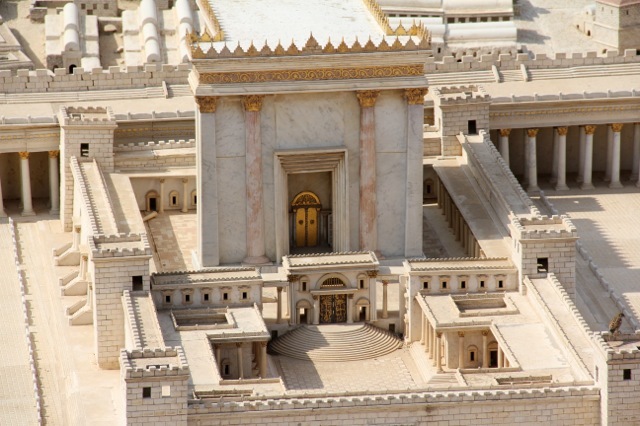 building and the establishment of Christ's kingdom. Lest we forget and think that we are the Messiah. building in the wrong place. in a firm, committed and disciplined way.